For many years, we separated urban life and nature. Cities were for houses. Parks were for playgrounds and sports activities. If we wanted to view nature, we went to the lake or out in the country. And yet, the separation of urban life and nature is artificial and inaccurate. Flocks of Canada Geese take advantage of the mowed areas underneath University Bridge; moose and coyotes, partridges and owls live in our parks and vacant lots. In addition, not everyone has a big backyard or a cottage at the lake. For many of us, access to nature is limited to the nature we find around us in the city. 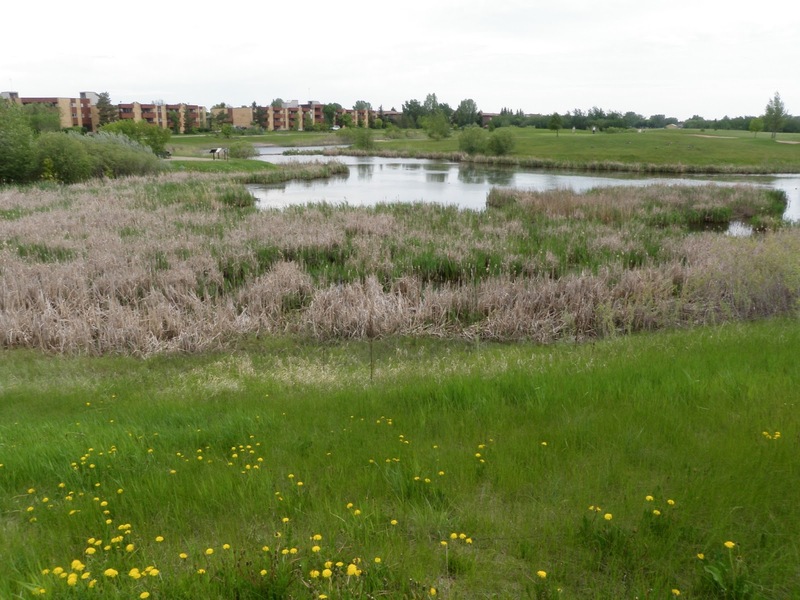 There are some remnants of native prairie within Saskatoon’s city limits. The largest is the North East Swale, an important wetlands area and wildlife corridor. 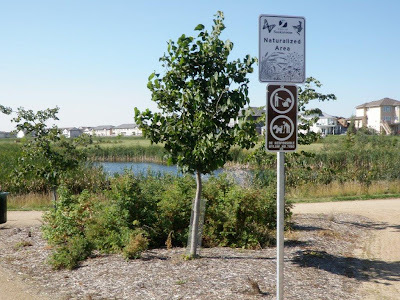 Mark Thompson Park, just to the east of Circle Drive Alliance Church, contains some native grassland and plants as well as a great deal of history as traces of the Moose Jaw Trail still remain. Saskatoon’s parks have traditionally been carefully manicured with plantings, lawn, and sports grounds or playgrounds. In the 1990s, the City began looking at naturalized landscaping. The City wanted to provide a pleasing landscape with lower maintenance costs, and local residents wanted to retain the aspen stands in Lakewood Park. A wetland area could also serve a dual function by providing natural stormwater drainage and a home for waterfowl and wetland plants. Lakewood became Saskatoon’s first natural park. Gabriel Dumont Park is also a naturalized park with large areas of unmowed grass. There are naturalized plantings in several areas, such as the weir and the Mendel Art Gallery. The City soon realized that naturalized parks bring a whole new range of challenges for Parks employees. The first challenge is establishing an area of native grasses or wildflowers. Native grass seed is expensive and difficult to obtain, so municipalities often substitute a commercial dry land grass mix. However, tall fescue is toxic to animals so it can’t be harvested, and it tends to prevent other plants from growing beside it, so it discourages biodiversity. In addition, native grasses grow very slowly, so they require intensive weeding until they are well established. In the wild, fire and grazing ensure a continuous cycle of cutback and renewal. Gary and his staff are currently learning how to use controlled burns to ensure the City’s stands of native grasses remain healthy, and he wonders if it would be possible to introduce sheep or cattle to manage the weeds in Gabriel Dumont Park. The City is planting willows around some of the wetlands to act as a buffer and ensure that the fertilizer used on sports fields doesn’t lead to problems with increased nutrients in neighbouring wetland areas. Gary is also planning to plant small stands of wildflowers in the hope that they will act as islands of biodiversity and spread through natural seed dispersal. Naturalized parks have many advantages. 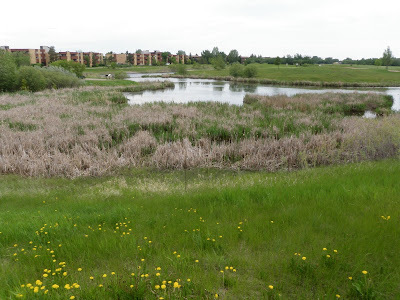 Wetlands provide stormwater drainage. Native plants are drought tolerant and better suited to the environment so they help control weeds, pests, and diseases. In the long-term, there are economic benefits as the parks will require less maintenance (fertilizer, irrigation, mowing). In addition, they provide food and shelter for the City’s wildlife and are an attractive area for residents to walk, watch birds, and relax. Public reaction, however, tends to be mixed. Some people think natural parks look untidy. Others are worried about rodents and snakes. Most of these fears are unwarranted, but public education is an important part of establishing naturalized parks. For example, some people see alfalfa as a weed, but it provides cover for birds and waterfowl and nectar for butterflies. While aspen stands sometimes raise public concern about youth mischief, they also shelter wild plants, such as Solomon’s Seal and Goldenrod. We share the land with insects, birds, rodents, and deer. Wildlife is already present in our cities, and that won’t change. However, we can do a more effective job of understanding and providing for their needs so that we can live peacefully side by side. The City of Winnipeg, for example, takes pride in the fact that Assiniboine Forest hosts a herd of white-tailed deer within city limits. 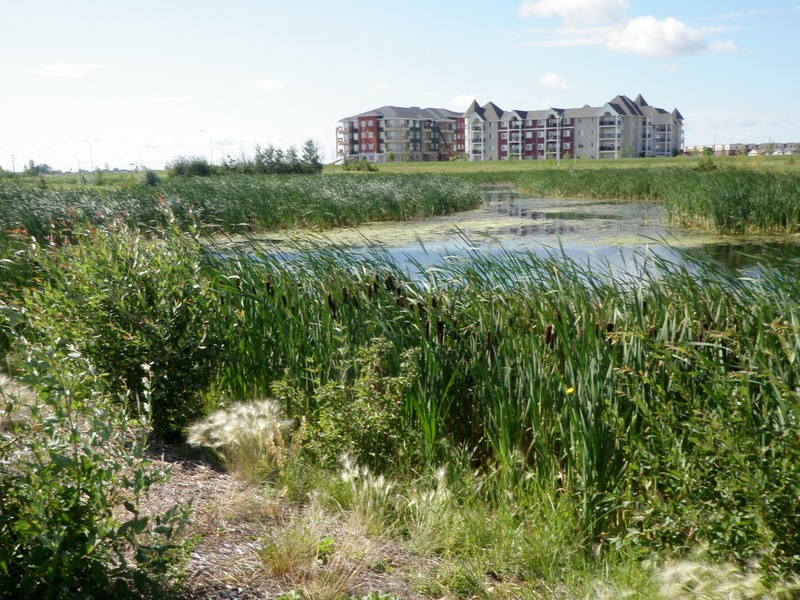 The City of Edmonton has an integrated management plan and allocates money for natural area land acquisition and conservation. A 2006 study on the state of natural areas paid particular attention to wildlife connectivity – the degree to which plants and animals can move between habitat patches. Parks and vacant lots can serve as stepping stones and corridors, helping plants and animals to move through the city. In North America, we’re seeing increasing numbers of coyotes within city limits. A large-scale study in Chicago indicates that this need not concern residents. The cases of coyotes attacking people are extremely rare and tend to occur only when people have been feeding the coyotes, thereby lowering the animals’ fear of humans. A study of coyote scats showed that the most common foods eaten by the coyotes in Chicago were rodents, deer, fruit, and small wild animals. They also raid Canada Geese nests, so they help control urban populations of rodents and Canada Geese, which are often viewed as pests. They may also reduce the number of feral cats, resulting in an increased songbird population. Domestic animals will be safe if they do not run loose. There are a number of issues that will need to be addressed as Saskatoon moves forward. The City currently sets aside land in new neighbourhoods for parks. Can some of this land be designated for natural areas? Can the City’s designers establish wildlife corridors and stepping stones to help wildlife and plants move between habitat patches? Can we establish recreational guidelines so that there is ample space for recreation of all kinds – from bird watching to soccer? These are all important questions as we recognize the linkages and connections between all forms of life. If you are interested in learning more about Saskatoon’s naturalized parks, be sure to participate in the tours being offered during the NatureCity Festival, May 25-31, 2013.